Heat a saucepan that has been sprayed with oil. Add leeks and celery and cook over a low heat until soft, but not brown. Season with pepper and add potatoes. Stir in stock. Cover and simmer gently for about 30 minutes or until potato is tender. Pour soup into a blender or food processor and puree. 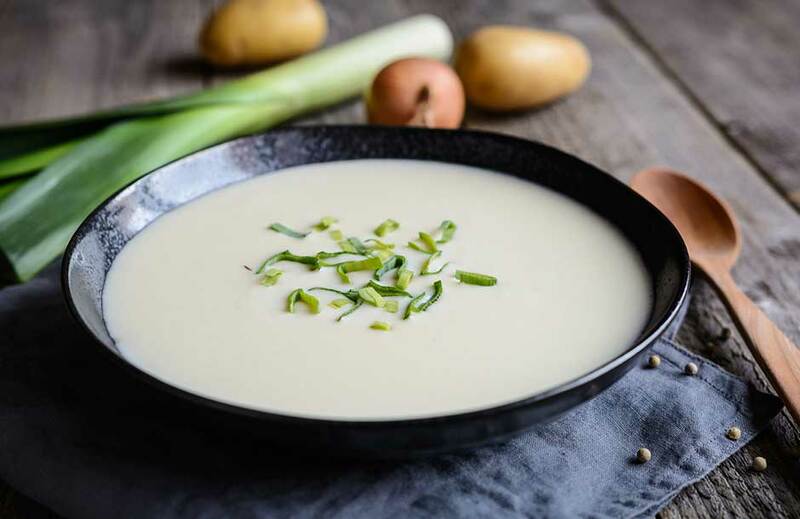 Whilst pureeing, slowly add the milk and continue to puree until soup is thin enough to drink through a thick straw.